Cabbage Red Acre Brassica Oleracea is an open pollinated small, compact, short stemmed, cabbage that is solid even in early stages. Cabbage Red Acre seeds can be started indoors 6 weeks before the last frost and transplanted outdoors 3-4 weeks before the last frost. 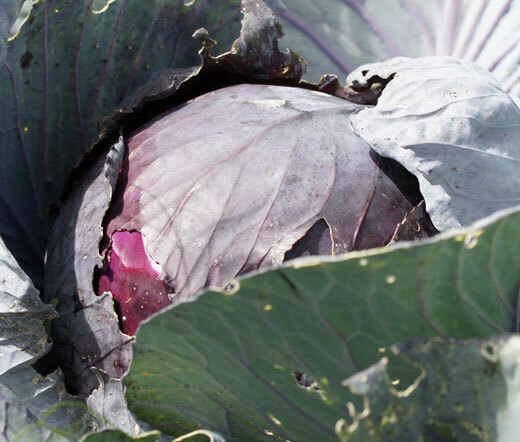 This cabbage bears hard, round, deep-red, purple 7 inch in diameter heads that weigh 2-4 pounds. Cabbage Red Acre is a colorful addition to a garden landscape, and this cabbage stores better than most early cabbage. For a late harvest Brassica Oleracea seeds can be sown directly outdoors in mid spring, and the plants have to be spaced 10-20 inches apart.